Katie Victoria adores working in her studio in Swansea, Wales where she creates all her beautiful bespoke products on a traditional knitting machine. 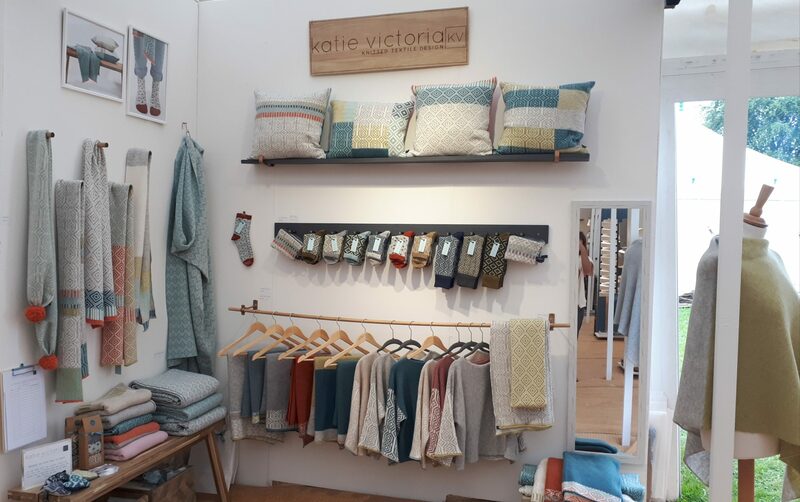 Working to craft every product she sells to the highest level of quality, Katie takes an immense level of pride in her work and loves making products for a range of different customers. 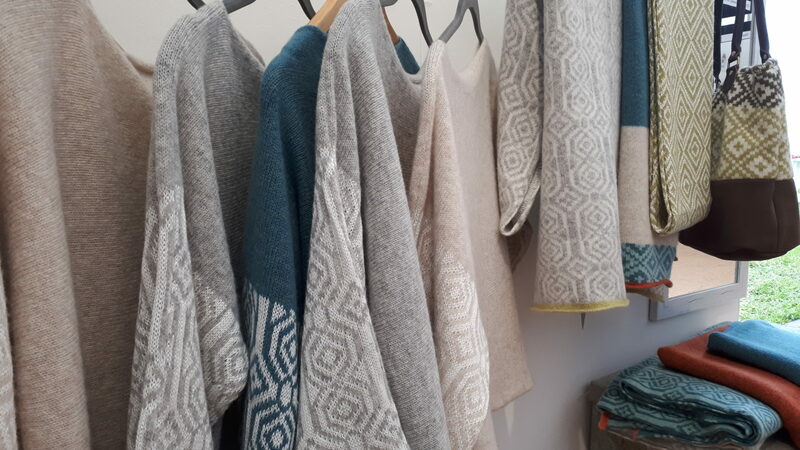 Recently, Katie visited The Contemporary Craft Festival in Devon. This multi-award-winning event in the South West celebrates the best in British design making, and Katie was thrilled to attend. She was swept up in the atmosphere with delicious food and locally brewed drinks that fitted perfectly with the traditional festival feel. 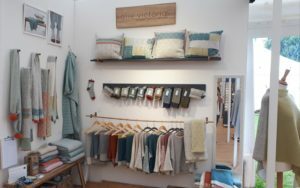 Katie felt at home mingling with other designers and customers in Devon. Katie loved the unique and joyous atmosphere and was taken by the eclectic range of different d esign workshops that were on over the full weekend. Katie was pleased that many of her own items were incredibly popular including ponchos, socks, and the brand-new slouch jumpers. 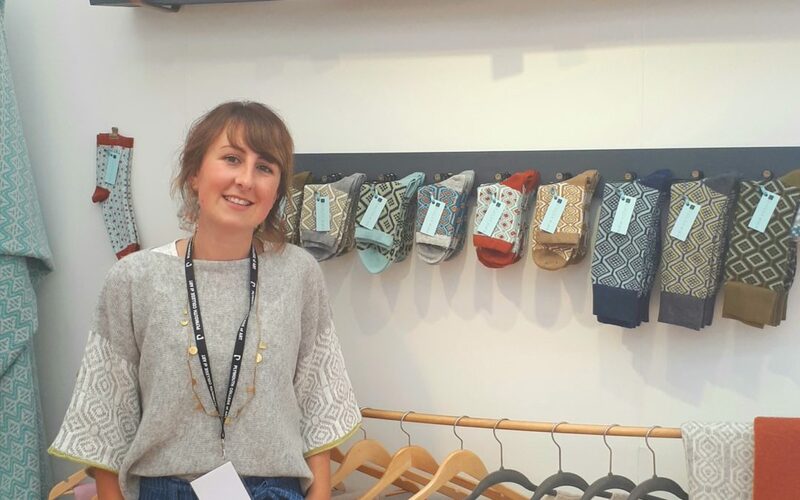 As a local Welsh designer, Katie was glad to meet other business owners like her and form new contacts in a friendly, welcoming environment. She found the festival to be an extraordinary event and plans to attend again next year. 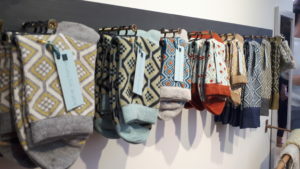 Katie is delighted to see that she has built up a loyal customer base and is eager to continue to create plenty of other wonderful products in both new and old styles. Using her hand-powered knitting machine Katie loves making a range of popular items and is touched with such a high level of enthusiasm for her items. She sells products to people all over the UK and is always delighted to meet the people who buy her products. With a wealth of new contacts and a potential new store interested in stocking her items, Katie hopes to be attending another fair taking place in Darlington between November 29th and December 2nd run by Me and East. This fair will sell a range of handmade gifts from the finest local contemporary makers. She hopes you will put those dates in your diary and keep a check on this blog for more details closer to the time as well as other exciting updates. Katie loves producing her unique handcrafted items and is thrilled to have new opportunities to showcase her products.